Updates to Krista's profile since your last visit are highlighted in yellow. No grandchildren but 1 grandpup named Cooper the golden More…retriever. In 1992 moved to the Pacific NW, Portland, Ore. Really miss the south and Dallas but not the heat or the bugs. Life in the NW is different, beautiful, overall nice. However, I am looking to retire in Vermont or off some wonderful beach somewhere. Maybe both. In the meantime, I keep busy with my business and photography. Travel is always on the menu and finding old friends. I am the only one not living in Texas anymore. My mother and sisters have moved from Richardson over to the Duncanville - Cedar Hill part of Dallas. It amazes me when I come home to visit how big Dallas has gotten. Portland is so small town in comparison. Now if I could just figure out a way to get Dallas in the NW...well that would be just perfect! 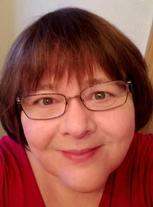 Krista Haney Blythe updated profile. View. Krista Haney Blythe posted a message. Just returned from Iceland, What an amazing place. No matter where we ate the food was always fabulous but very expensive. The land of fire and ice does not disappoint. 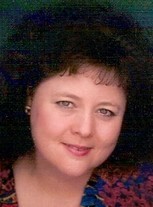 Krista Haney Blythe changed "Now" picture. Krista Haney Blythe has a birthday today. Went to London this year and it was so fun and amazing. Met Benedict Cumberbatch who is totally awesome. Just returned from Seattle and a month long visit to Dallas. Checked out Richardson and the high school while there. Just about the only thing that was recognizable to me anymore. Saw several high school friends that I hadn't seen since te mid 70's. Seems like we just took up where we left off. 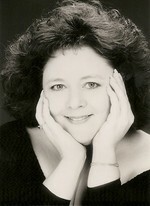 Krista Haney Blythe changed profile picture. Krista Haney Blythe has left an In Memory comment for Charles Wendell Arnett. Bruce..how did Wendell die? He was my first kiss..I believe we were in 8th grade. at someones party. He was so tall and a really sweet guy. @ 50 I decided to take this self portrait. I am always behind the camera so I promised my friends and family a picture. I like being behind the camera better. Husband Scott and youngest son Andrew at our new swimming hole we found by Mt. Hood.